Are We Being Deceived by Democracy – which apart from the objective parameters of The Ten Commandments becomes mob rule? The Crucifixion of Christ was a demonstration of mob rule. When Pilate found Christ had committed no crime, he sought to let Jesus go. But the mob vote democratically to crucify Christ instead. Pilate complied and Herod did not intervene because rather than obey objective laws, they allowed the lawless democracy of mob rule to prevail which voted to railroad, brutally beat and murder the best man who ever lived. Democracy in its basest and rudest sense is “mob rule.” God’s Bible is a Constitution of laws, covenants and due processes that God expects all people to follow. Following God’s Biblical example, America’s Founding Fathers wrote the US Constitution, a law under which all who want to be citizens of the United States are to follow. 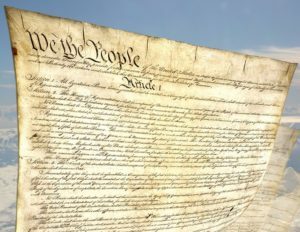 America is a constitutional republic; not a “democracy.” America’s Founders believed that law is something God gives for each person to follow. All men are Created equal -and equally must obey The Bible, which is a book of God’s Laws He expects everyone to follow. All of us will be judged by God on the basis of whether or not we followed God’s law or accepted His grace that forgives us for breaking His laws — the penalty for which Christ bore on the cross on our behalf. In contrast to democratic mob rule, America is a Constitutional Republic in which all the eligible citizens, follow laws to vote to elect those who will serve us by representing us in the government. Inherent in the concept of democracy is the belief that its outcomes will reflect the principle that everyone is the society has an equal voice, regardless of their value system. The practice of democracy, however, reflects the reality that there is no social equality. Powerful elite who control the government and the network of newspapers, television and radio programs not only determine what we hear, but also put their spin on what is presented to guide how we should respond to it. They want to predetermine what beliefs and actions we should take from what they present. 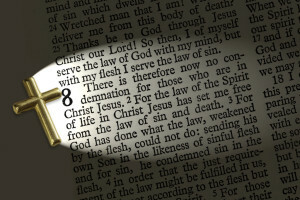 Jesus says in John 8:32, “Then you will know the truth, and the truth will set you free.” Jesus is talking about His objective truth, explained in the Bible, which is not modified by democratic mob rule, but instead is reflected through the way God ordains constitutional republics to administer laws that are based upon His Divine Word. Adhering to democracy enslaves us to the whims of a powerful elite who try to get us to exercise our so-called “democratic rights” in ways that violate God’s objective rules for our lives. Administering the US Constitution in the objective way America’s Christian Founding Fathers intended is what is consistent with God’s intentions and lifts us up in a liberty!